To combat the housing shortage back in the early 60’s, Singapore established the Housing and Development Board to provide low-cost, state-built public housing for the masses. These flats can be found in self-contained satellite towns called housing estates and now house 85% of all Singaporeans. These are built in various quality and finishes and despite being cheaper than privately built homes, provide more than enough comfort, space, and quality to suit any family’s needs. 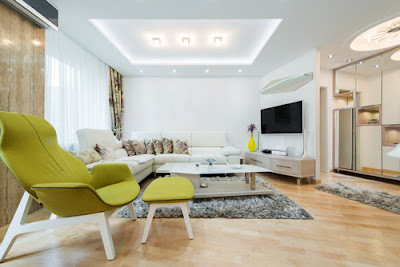 If you are looking to purchase an HDB flat in the near future, then your next step is to decide on the would-be interior design of your space. When it comes to making the house your home, it is important to add stuff that will emphasize your individuality. Colors actually make a huge difference when it comes to personalizing your house. The obvious choices are your favorite colors; however, not all colors translate well into wall paint or wallpapers. Choose colors wisely: bright colors make the room feel lighter and warmer yet are prone to dirt. Dark colors are cooler to the eyes and feel a lot heavier but play well in emphasizing light-colored furniture. Colors often tend to set the mood of the entire space so choose accordingly. Rooms where people tend to relax often are well suited for mild, comforting colors, while areas that are used for social gatherings work well with bright, exciting colors. The colors of your wall are not the only things you should be considering; you should also think about the color and make of your furniture. Provide contrasts in color to make the objects pop out or choose objects with similar color palettes so that they blend in well. Also, when it comes to the interior design of your HBD flat, especially for the living room area, always make sure to create a focal point where the gaze naturally centers on. This could be a coffee table or a sofa in the living room or a four-poster bed in the bedroom. If you want, you can actually choose your focal piece first and build around that. Also, when choosing furniture, always keep in mind the form and function of the appliance. Couches and chairs should easily seat all of the occupants of the house. As with the colors, the texture of your chairs and sofas make a huge difference into incorporating your personality. Stylish and chic leather upholstery are not just for cars anymore as leather-clad furniture pieces are becoming more and more popular and emanates a modern, sophisticated look. On the other hand, linen-covered chairs and couches provide a more homely and traditional feel. HDB flats come in all range of shapes and sizes, so it is up to you to maximize and capitalize on that space. Rounded furniture on sharp corner walls gives lots of wasted space. However, this depends entirely on the object as an empty wall edge is perfect for a circular indoor potted plant. Another area where you can play around with shapes is the living room and/or bedroom. Circular throw pillows on a box couch provide a lot of contrast and easily attract the eyes. Just like any house, an HBD flat will also have seams in the walls and ceilings. You can cover these up with paints or wall paper. However, to add that extra emphasis and dimension to your living space, you can go for a contrasting color for these lines so as to border the rooms and accentuate the space. Much like the room, adding framed pictures can further enhance the interior design of your walls. Empty walls look barren and uninviting; by adding framed portraits or mirrors can provide a focal point on the walls making use of the vertical space. Choosing frames that are of contrasting color to your walls will make it pop out more and attract more attention. Materials come in many forms such as wood, metal, glass, or plastic. Lastly, consider the fabric to be used on the drapes and curtains. Different fabrics not only provide different colors, but different textures as well. Heavy drapes are good for blocking out the sun and keeping you cool. This is especially useful if your window is right in line with the sun. When it comes to decorating your HBD flat, there are a lot of things to consider. However, as this is essentially the house that you will go home to, making it comfortable and pleasing is certainly a must.